Palate: Soft, round and finely wooded. Notes of “rancio charentais” and dried apricots come up in an elegant finish with vegetal notes (linden blossom). 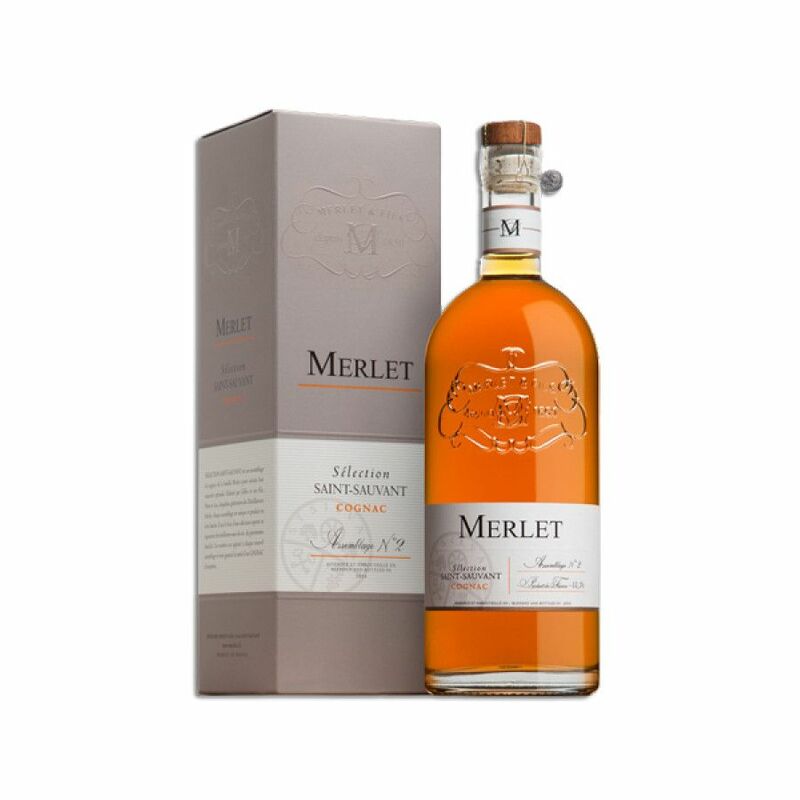 Merlet Sélection Saint Sauvant Blend No 2 Cognac is a cognac produced in limited edition batches with each series being unique. 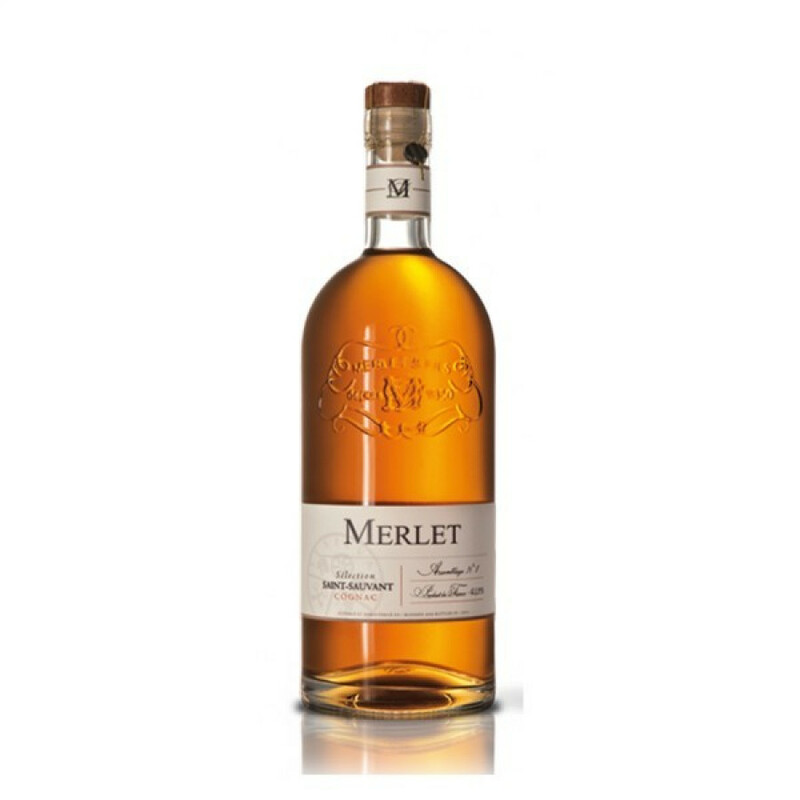 This, number 2 in the range, was bottled in 2016 and the result of an expert and rigorous selection of Cognacs held within the family's select reserves. This delightful cognac has been created by a blend of 12% very old cognac, 30.4% from 10 year old Petite Champagne, 10.2% from Grande Champagne, 10.7% from Fins Bois 2001, 10.2% from Petite Champagne 1993, 10.1% from Fins Bois 1992, 4% from Borderies 1984, 8% from blended Petite Champagne 1971 and 1973 and, finally, 3% is made up from Fins Bois eaux-de-vie from 1948... Phew... That's some serious quality of cognacs! For a cognac of this high quality it represents exceptional value for money. A great purchase either for yourself, or would be highly appreciated as a gift by any connoisseur.